I was watching a rerun of an episode of Outlander on Starz. Claire is intent on stopping the battle of Culloden. 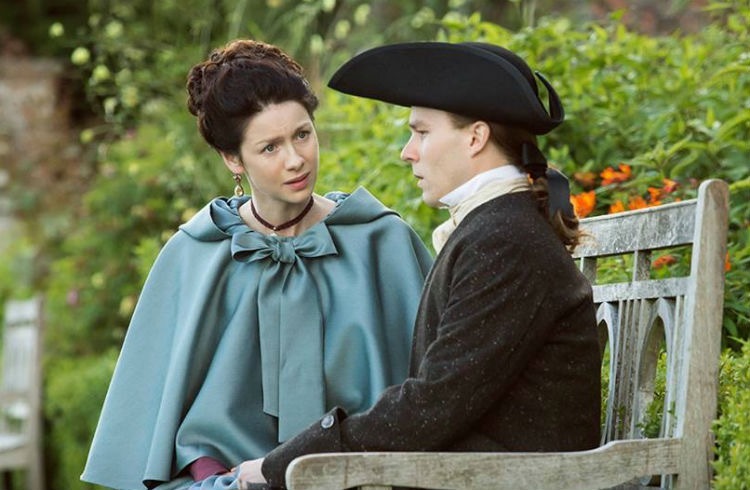 She is also intent on keeping Alex from Mary because she believes Jack Randall is the ancestor of her modern day husband Frank. I didn’t really think about this when I read the book or watched the episode the first time around. Claire can not change the future. She is wrong about Frank’s ancestors. Her meddling caused all sorts of problems and ultimately nothing changed. I see myself in Claire. I’ve spent so much of my time trying to “make” things turn out the way I want rather than getting out of God’s way and letting Him handle my life. The more I get in the way, the slower God is to act because He gives me free will and I insist on blocking my own way. Outlander is just a book, a story but like in all things we can learn something about ourselves. I’ve begun a study of Psalms. One or two verses at time. Following Luther’s suggestion I read for instruction, then thanksgiving, then confession and finally prayer. This simple study is opening my heart and teaching me to get out of the way. That was right on today, because I just put our relationship in God’s hands. Don’t we wish we could get out of our own way and let things happen.